Movie Park Germany enters the IMAscore shop with a brand new release and a real classic. 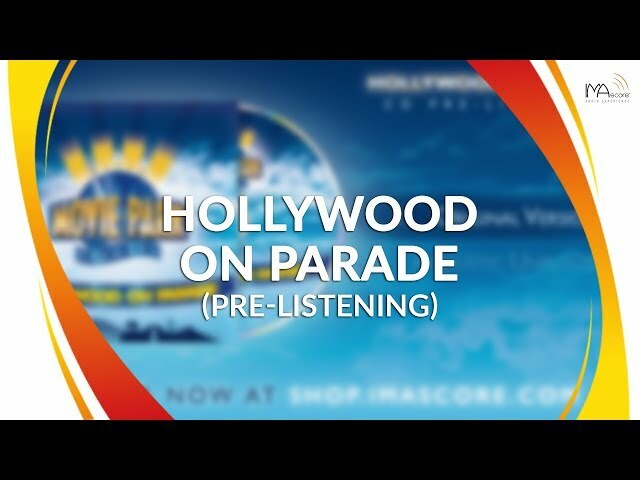 The single of the new parade song “Hollywood on Parade” features exclusively for the CD produced bonus versions of the track: A very danceable EDM version and a puristic unplugged acoustic version. On top of that there’s also sing-along version on the CD. The lyrics can be downloaded by following the link below. Furthermore the official soundtrack CD of “Shadows of Darkness – The Van Helsing Show” is now available at the shop. On the stage of Movie Park Germany’s Studio 7, in front of an audience of up to 2.100 people, the fearless monster hunter Van Helsing stepped up against the evil vampire Kain in a fight through space and time, accompanied by an film-like soundtrack by IMAscore.